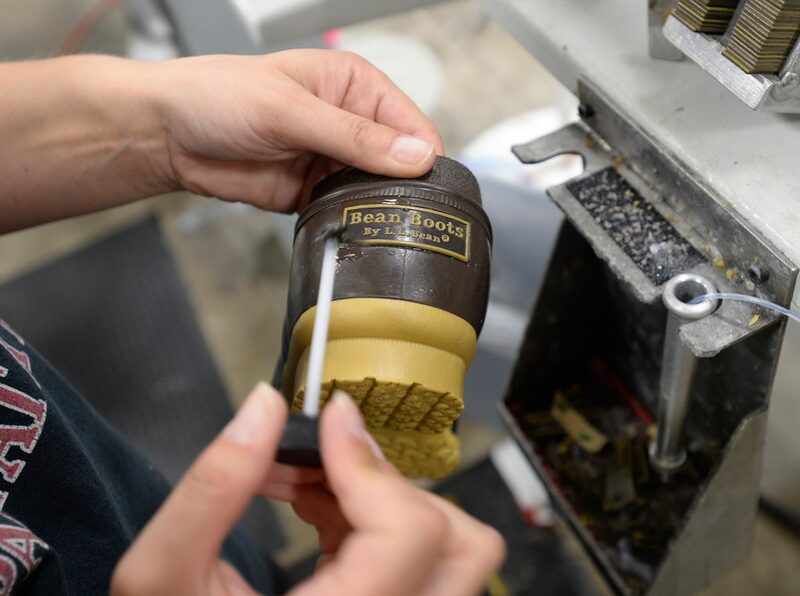 The outdoor gear retailer is expanding its boot production capacity by one-third as a new molding machine goes online. LEWISTON — L.L. Bean intends to make 1 million pairs of its famed hunting boots next year, and erase a production backlog that has dogged the popular footwear in recent years. 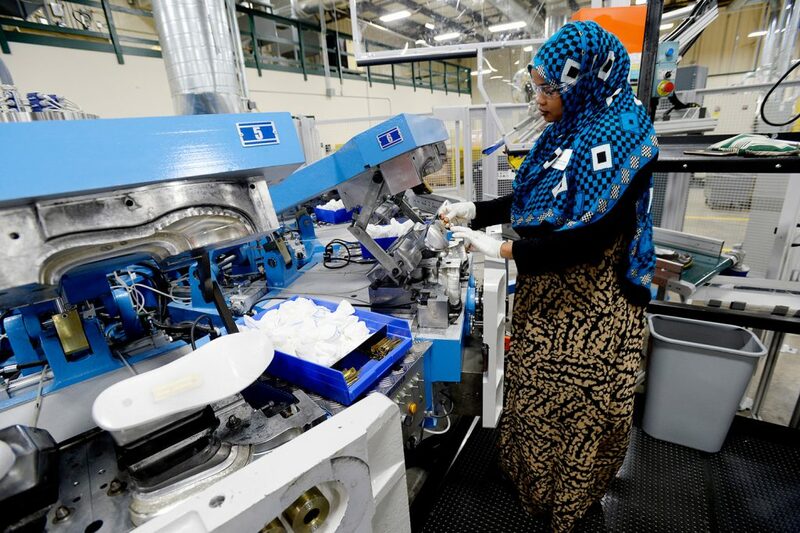 Company officials unveiled a $1 million injection molding machine during an open house at its new plant in Lewiston on Thursday morning. The investment increases the outdoor gear company’s capacity to make its trademark product by one-third. The retailer sold 600,000 pairs of the boots last year and expects to produce 750,000 this year. It should reach the 1 million milestone in 2018. “L.L. Bean manufacturing is both our history and our future,” Executive Chairman Shawn Gorman said while addressing a crowd of dignitaries, media and employees gathered to tour the company’s new plant on Lexington Street. At the peak of last year’s backlog, 50,000 customers were waiting to receive their boots, which come in numerous styles and models. It took the company until July to catch up with the orders. There also were backlogs in 2015, when the company sold 500,000 pairs of the boots, and in 2014, when it sold 450,000 pairs. A decade ago, orders for the hunting boots tallied just 100,000 pairs. The boots range in price from $99 to $199 and by a conservative estimate accounted for upwards of $60 million in sales in 2016, when L.L. Bean reported overall sales of $1.6 billion. CEO Steve Smith said the added capacity means more than 550 people are working year-round on orders in Lewiston and at L.L. Bean’s production facility in Brunswick. 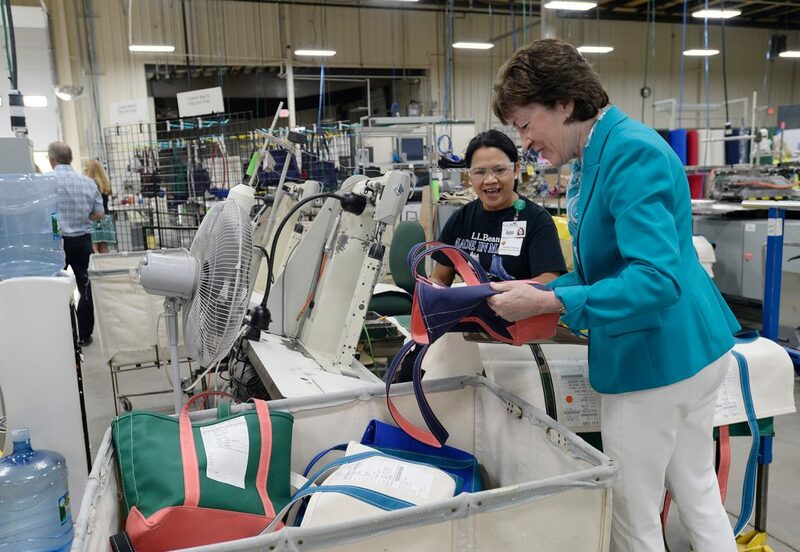 Both facilities are working around the clock in three shifts during the week to stay on top of orders for the rubber-and-leather boots, as well as dog beds and tote bags. The company is looking to hire 40 full-time workers at the Lewiston location, and has another 130 manufacturing positions open. The average wage for front-line employees is $14.50 per hour. “Hiring is what is holding us back,” said Smith, noting the goal is to have more than 700 people working in production by year’s end. 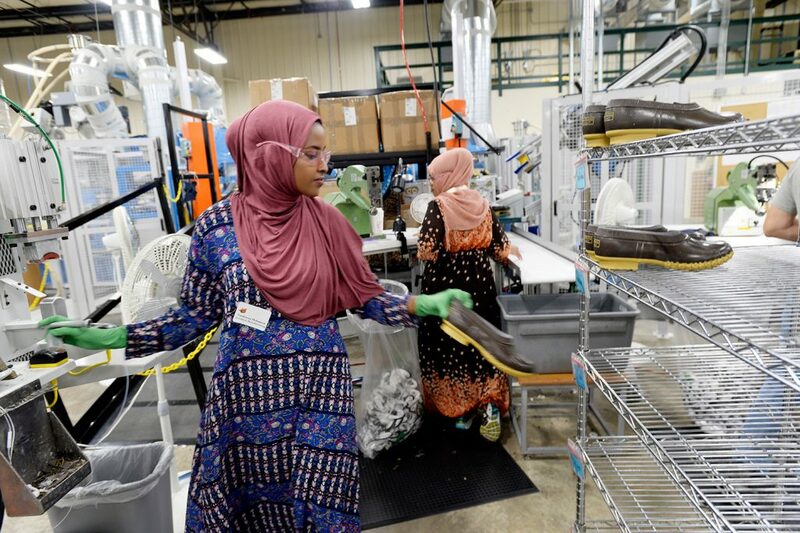 Once that’s achieved, the company will be able to churn out 3,200 pairs of boots a day. In a nod to the importance of the company’s trademark boots, the plant’s entrance is festooned with new products. A display of boot soles shows a range of colors from bright blue to pink and orange. The soles are topped with uppers in more sedate shades of brown, gray and black, but a couple of red uppers and an eye-catching plaid are standouts in the display. They are examples of new offerings now that the company has the capacity to increase production, manufacturing manager Roland Cote said. New boot liners in Scotch plaid and variegated shearling also are on display, as well as edgier Bean boots, such as a knee-high woman’s boot with a traditional Bean boot bottom topped with a bison leather upper. Menswear gets jazzed-up options, too. One mannequin in the entryway has a 10-inch Bean boot in various shades of black and gray. Cote said the company is aware that orders for its traditional hunting boots may wane, despite their popularity on college campuses and with sportsmen and outdoor enthusiasts. So L.L. 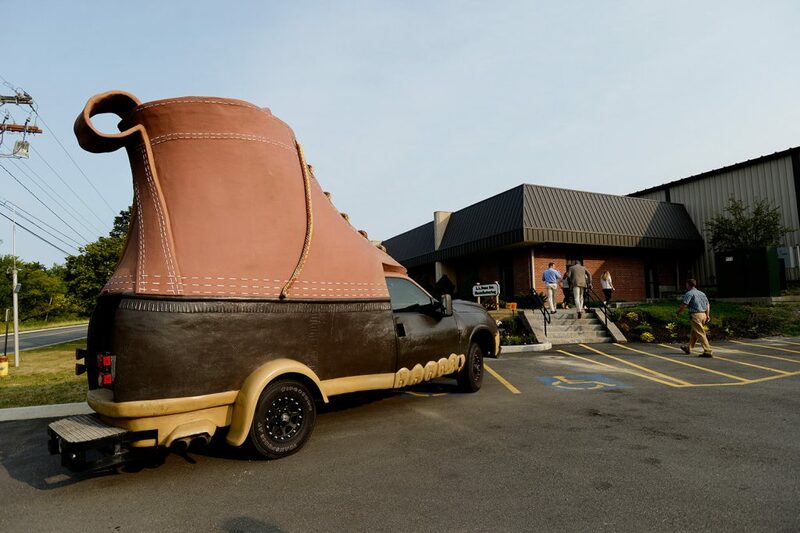 Bean is stepping up ways to customize the boots for new markets. Besides adding new colors, linings and styles, the company is starting to expand marketing in Japan and Europe. “We’re trying to offer a lot more variety for consumers,” Cote said. Three years ago, the boots made a splash at New York Fashion Week when famed women’s footwear designer Manolo Blahnik applauded the boots’ stylishness and stability, raising their visibility to an international audience. Last year, Christina Binkley, fashion columnist for The Wall Street Journal, said the boots’ comfort and function are key to their enduring popularity. “In fact, it’s looking like this is more long-term trend than fad,” she told the Press Herald at the time. The new molding machine, which makes the rubber soles of the boots, was the final piece in the company’s fit-out of its new 106,000-square-foot facility. L.L. 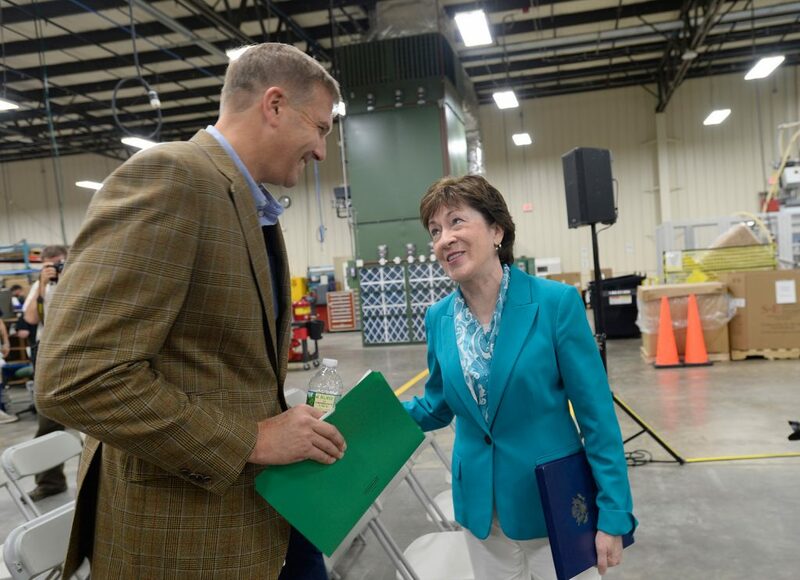 Bean previously operated a smaller plant on Westminster Street in Lewiston, but decided to move that operation and some of the production work previously performed in Brunswick to its new plant. The building on Lexington Street houses all operations involved in the boots’ creation, from receiving raw materials in a warehouse section, to production, finishing, inspections and shipping, either directly to customers or to retail centers. Cote pauses during a tour of the plant to watch Marilyn Laroche sew the triangle-shaped flaps on the bottom of a tote bag. The stitches are white, so any mistake would be obvious against the dark canvas. But Laroche, who has been with Bean for almost 24 years, expertly whips the fabric through the machine, aligning the stitches precisely before snipping the thread ends from the tote. “It’s a real skill,” said Cote, who added that although some of the company’s production has been automated, there is still a need for highly skilled workers. L.L. Bean is the state’s fourth-largest private employer with between 5,500 and 6,000 employees, according to Maine Department of Labor data. Surveying the company’s newest operation from the dais, Gorman, the great-grandson of company founder Leon Leonwood Bean, cited the innovation and technology that have fueled the company’s expansion. 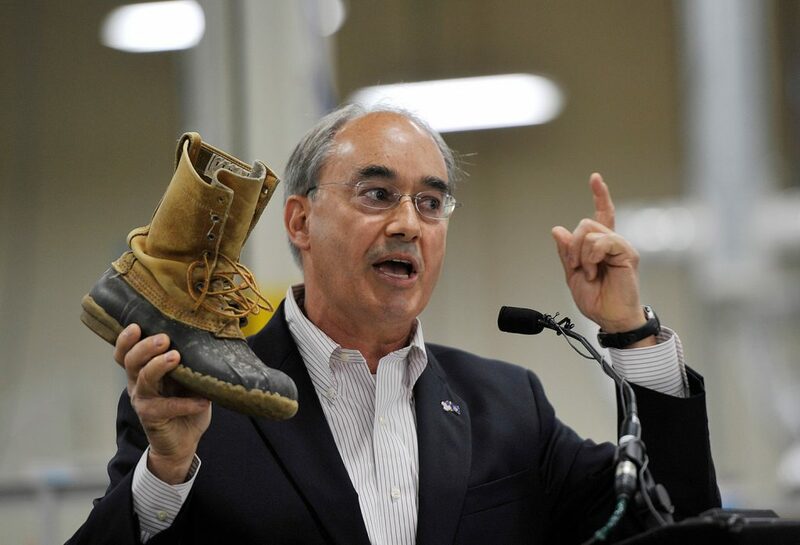 He also invoked his great-grandfather and commended the workers, many of whom wore T-shirts emblazoned with “Made in Maine” over red, white and blue Bean boots.